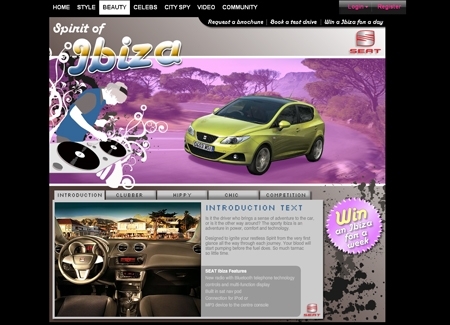 Design and program an interactive microsite page to showcase the new Seat Ibiza on the Getlippy.com website. The main part of the microsite features a guide to the Island of Ibiza. With features to interest three different target groups. A map was created with the data populated from an XML file which meant that it could be updated easily.